It has not been pretty for the Heels, and not even coming home will help that. The Wildcats really stunk it up against the Badgers so they need a win badly. Minnesota is in a state of flux with Jerry Kill taking a leave of absense, so Northwestern should get a tough but important win. Holy crap did the Gamecocks look strong against Arkansas. Tennessee will have to play as well as they did in the overtime loss to Georgia two weeks back, which I'm not certain that they can do. Again, I saw it coming but I did not see it being that much a margin. Of course, a pair of awful Aaron Murray interceptions killed them near the end. However, the 'Dores have looked good against anybody that is not an SEC team. 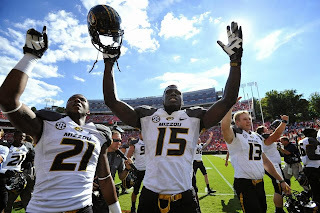 Again, huge victory for the Zou in Athens and that should give them plenty of confidence coming home against a Florida team that struggles to move the ball. 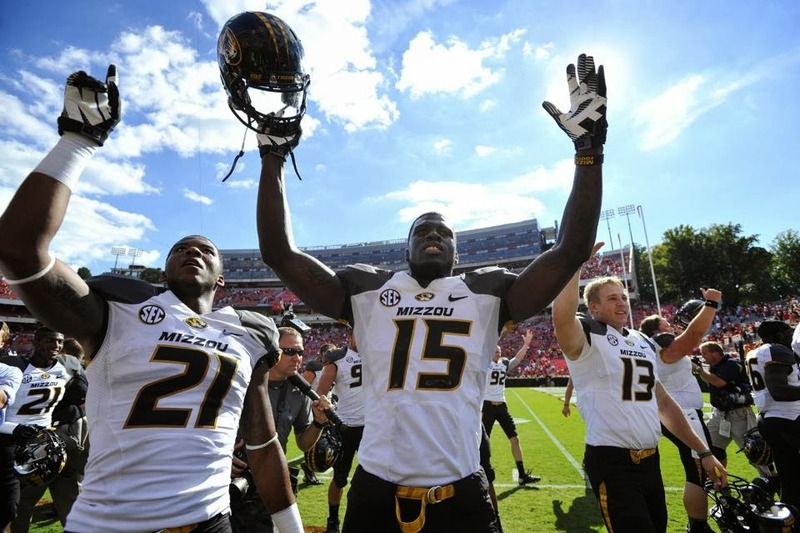 But I wouldn't be confident in Maty Mauk against that defense, and neither should you. For the Red Raiders, it's been six games and six victories, and they have looked very good. Meanwhile, the Mountaineers have been very hit or miss this year. It is sneaky tough in Morgantown and I like an upset bid here. A key game for both if they want to try and stay alive in the Big XII, but it seems like the Horned Frogs can't get over the hump against the top clubs. The Cowboys keep it coming back. This could be a game that nobody wants to win. The Tigers showed against LSU that even though they are a good team that can move it offensively, they are a year away from really being dangerous. And they don't have enough horses to slow down Johnny Manziel and the movement. This is a good week to be UCLA as they see that Stanford may not be as good as we thought (key word: may). But this is not a good week to be UCLA as they now get an angry Stanford club looking for a big bounce-back. I see more of the latter. The Hawkeyes are better than I thought they would be, but they're not that good. Michigan played it so conservative during overtime in Happy Valley, you would have thought they were instead at the Values Voter Summit. Fortunately, Indiana couldn't stop anybody. The Huskies need a bounce-back win pretty badly after having the unfortune of going against Stanford and Oregon back-to-back. I think they'll get it in Tempe. So the Razorbacks just got demolished by South Carolina, and thus that should bode well. The Tigers win in shootouts and they can win in defensive struggles. Ole Miss will be game in Oxford, but they really lack LSU's balance. Can Ed Orgeron get the Trojans to come out hard in South Bend under the lights? I say yes, but the Notre Dame defense will cause just enough problems for Cody Kessler. Nevada's defense has been lacking thus far in 2013, and that gives the Smurfs an opening at home. The Badgers crushed Northwestern on Saturday afternoon and while the Fighting Illini are much improved, I'm not seeing an upset because I don't think Illinois is strong enough defensively. This has the making of an one in Death Valley. I wouldn't put too much into Clemson struggling for a long while with Boston College because they were clearly looking ahead. And I think that will give them an advantage over FSU as they haven't played since the fifth. Jameis Winston is awesome, but how will he look in his first hostile road environment? As least the Cougars will keep it interesting for a bit, maybe more? The Utes pulled off a huge upset of Stanford in Salt Lake City and this is a good team. Good enough to go into Tucson and take out the Wildcats? I think so. Cal is coming along, eventually, but eventually will not be Saturday night.